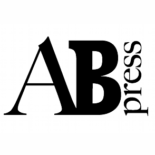 Blog Page | The ABPress website (or how to change a light bulb in a tight space with one hand tied) | The web page of the ABPress based in Oxford and Sibiu, soon open for business: muses and misspells on its books. Randomly decrepit, stiff joints, possibly neo-bankrupt: so out of touch it needs help, but so analogue it cannot be helped. Nonetheless temperamentally enthusiastic, moderately irascible.